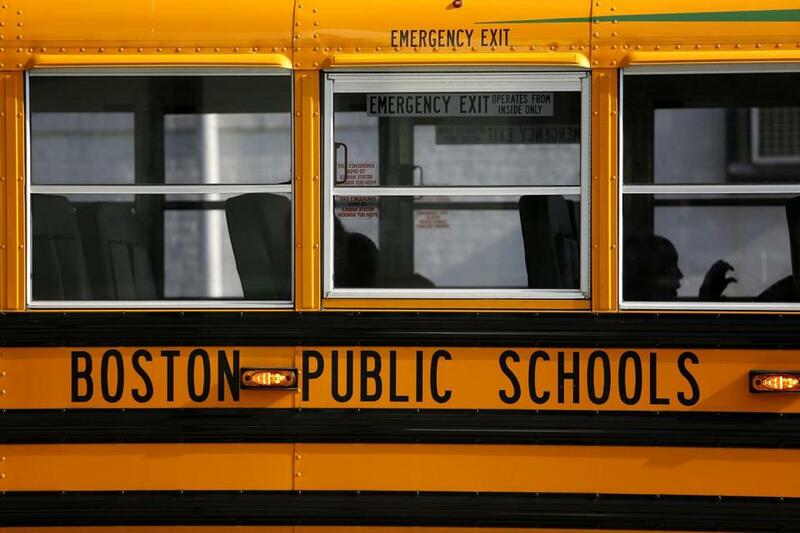 As school bus routes ran late or went uncovered for a third day, Mayor Martin J. Walsh voiced frustration Thursday afternoon, apologizing to families, schools, and students for the hardships they are experiencing. Walsh said he received a report just before the ribbon cutting that all the scheduled buses had not shown up again. The problem is affecting a small number of schools — mostly independent charters — that have started their school year early, but city and school officials are worried the problem could grow worse when the school system officially opens on Sept. 6. The School Department would not say how many routes were uncovered or ran late on Thursday. The school system has been grappling with an unexpected number of school bus driver absences this week. School bus drivers have been in intense negotiations with the school system’s transportation contractor, Transdev, to replace an agreement that is set to expire on Friday. The union raised the specter of a possible walkout in June, when it unanimously voted to authorize a strike as its contract was set to expire. A two-month extension was eventually worked out. It includes a provision in which the union agreed to provide a 48-hour notice if it strikes. It remains unclear whether the unexpected absences are tied to labor unrest or are merely coincidental. Walsh said he thinks the two issues are not related, but he added that he is planning to meet with the drivers union soon. “I think they are closer on the contract than people think they are,” he said. Both school officials and the union have declined repeated requests this week to talk about the negotiations. But union leaders released a flier Monday condemning such bargaining proposals as outsourcing work and reducing allotted time for daily bus inspections, while they said they were fighting for a cost-of-living increase, affordable health care, disability coverage, other benefits, and well-trained bus monitors for every bus. Problems, however, could run deeper than just contract negotiations. Walsh revealed Thursday that the school system’s transportation director, John Roderick, who was just hired earlier this year, abruptly left the job a few weeks ago. Roderick previously worked for Transdev and the MBTA. According to the school system, Roderick left Aug. 24 and moved to New York City. Walsh also suggested in his remarks that Transdev may not have hired enough drivers. In the meantime, the transportation department’s customer service manager, Delavern Stanislaus, has temporarily stepped in as interim director, even though the position requires someone to have deep knowledge about how to route buses in Boston’s traffic clogged streets.